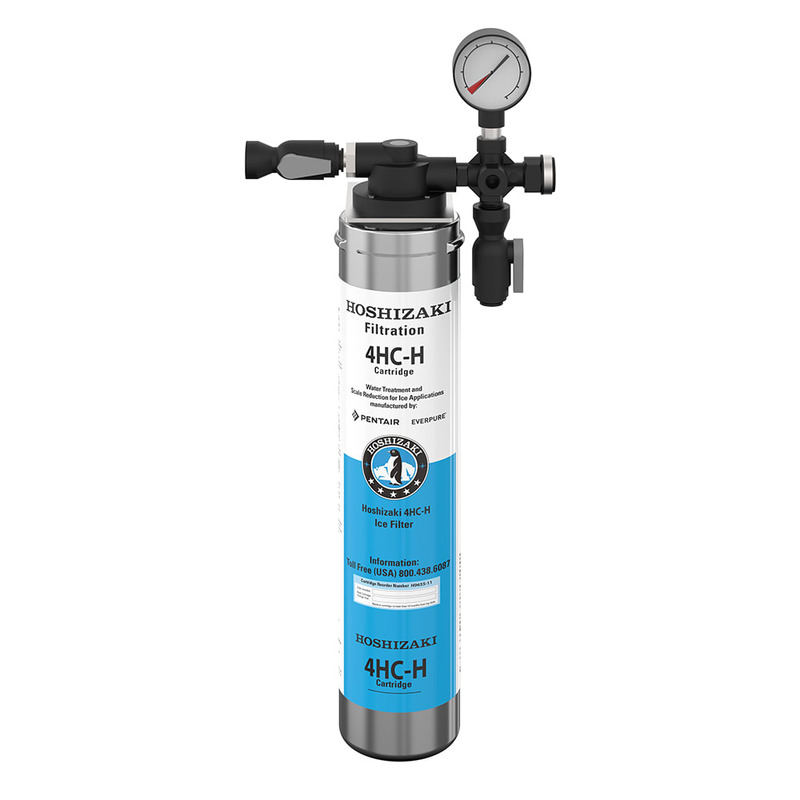 Form the perfect ice with this single configuration water filtration system from Hoshizaki. This water filtration system for ice makers removes cysts with sub-micron filtration always keeping your ice clean and crystal clear. This water filter also reduces disinfectant chlorine from your connected water supply by 99% making sure you never deal with off tastes or foul odors in your ice again. For consumer convenience this ice maker water filter comes standard with H-GUARD Plus antimicrobial agent to help decrease how often you perform machine maintenance by reducing lime scale and bacterial build-up.